For some young people finding a job or even just discovering what they want to do can be a challenge. We are happy to have been able to help people from a range of backgrounds learn and gain experience at our Cheltenham warehouse and IT workshop. It is rewarding to hear from them how working with us has helped them. ​"I am now more confident and I am getting used to a proper work environment. I think my experience with ITSA will be helpful in my future, especially if I am offered a job in IT. The staff are very friendly and good with people like me, with disabilities.​"
We are extremely pleased for Ash as he is now employed full time working for a technical company. ​Alistair began volunteering with ITSA in 2007, helping out in the IT workshop. He enjoys a challenge and takes real satisfaction from being able to salvage equipment, his speciality is flat screen monitors! 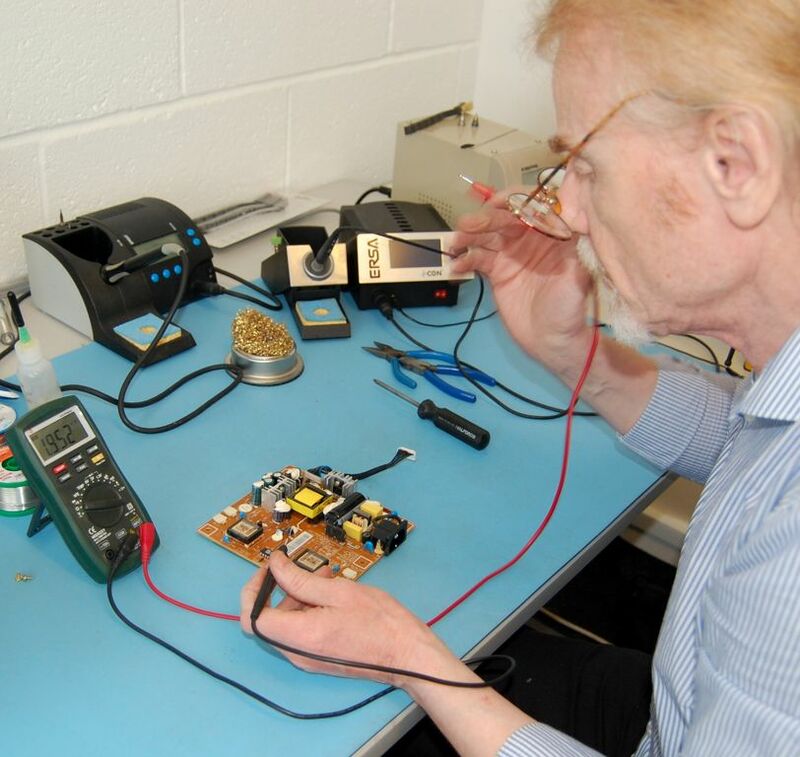 ​"I mostly fix ‘dead’ monitors - it is fairly easy, a lot of the time all you have to do change the capacitor. I don’t like to see things being thrown away when they still have use in them." Thank you Alistair for your hard work and for bringing so many flat screens back to life for us to send to Africa!